The UK's largest light festival transforms the streets of Durham City in to a nocturnal art trail. Commissioned by Durham County Council and produced by Artichoke, the first Lumiere took place in 2009. Originally planned as a one-off, it has since grown into the UK’s largest light festival. Returning to North East England every other year, in 2015 it was attended by a record 200,000 people over four days. Artichoke are passionate about the possibilities of light and how it can transform urban environments. 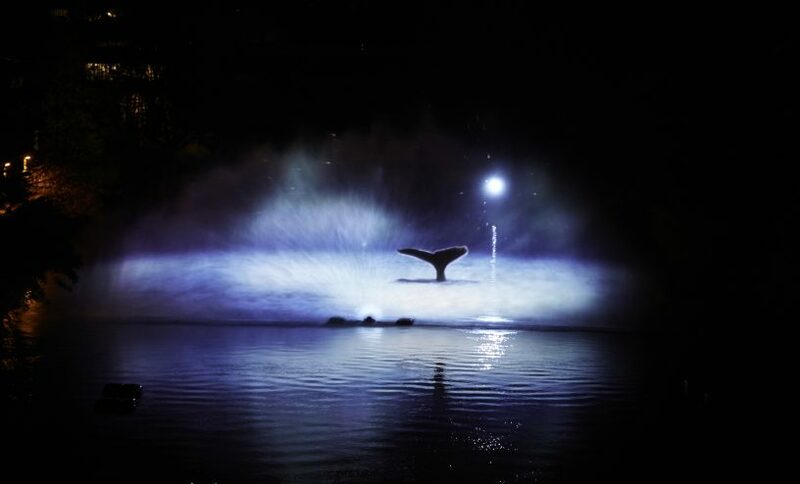 At Lumiere Durham 2015, 29 extraordinary art installations stretched across the city including a whale in the River Wear, a ghostly fog beneath the Cathedral, and 250 locals storming the 50 metre-high arches of Durham Viaduct. From neons and video mapped projections to LEDs, there were extraordinary things waiting to be discovered in unexpected locations. 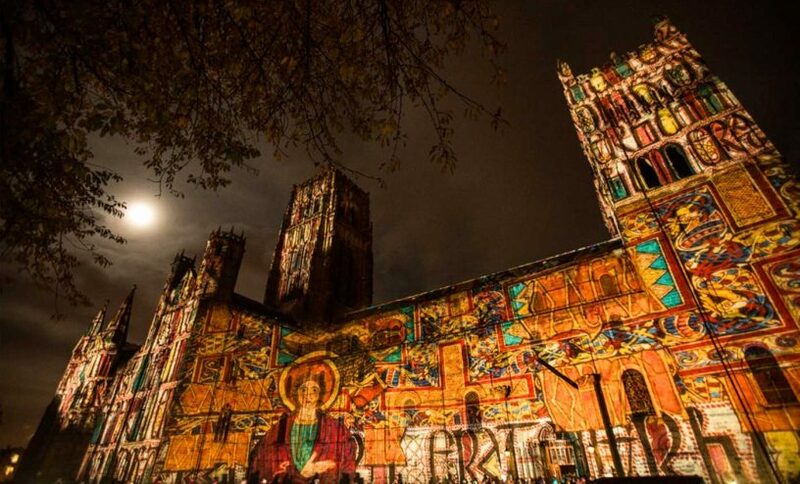 The new programme of work by international artists and a conference with impressive speakers who shared their vision for how light can change the world, saw Lumiere Durham 2015 illuminate the wintry darkness in spectacular fashion. Lumiere will return to Durham City in November 2017.